This month brings the Vernal Equinox (March 20), and with it the season of rebirth and renewal we call Spring. Many of you may be buying seed for spring planting or eagerly checking soil temperatures in anticipation of getting back into the fields. We share your excitement for the new growing season and send our best wishes for a successful and prosperous 2013. We've had a busy month at Mercaris. Kellee and I have been reaching out to participants in the Identity Preserved (IP) grain sector and refining our data collection principles and procedures. We were glad for the opportunity to attend the MOSES conference and Natural Products Expo West, where we continued our learning process and enjoyed visiting with many of you. Meanwhile, Chris, our CTO, has been diligently building our data collection software. The system will be web-based, with a secure log-in for each data provider. A prototype will be available for beta testing by the end of the month. If you are interested in taking it for a test drive and giving us your feedback, please contact me. As many readers may know, a major focus of our new company is data collection and market analysis for the IP agricultural sector. We will gather original transaction data (price and volume) from first handlers of IP grains and use the data to publish weighted-average prices by region (regions displayed below). Initial crops targeted for data collection include organic corn, soybeans, and wheat (published weekly); non-GMO soybeans and corn (published monthly); and specialty coffee (published daily). We will publish spot and forward prices for the IP grains and spot prices for coffee. In addition to weekly/monthly weighted-average prices for IP grains, Mercaris will use its internal data, combined with data from other sources like USDA, to conduct detailed market analysis. This is a first step towards building a data set complete enough to estimate supply and use of IP grains as well as other crops we’ll be covering. One of the questions that came up during outreach to potential data providers is, What type of price we will publish, FOB Farm or Delivered? We plan to collect and publish a delivered price (to the first handler) for organic and non-GMO grains. A delivered basis is used most prevalently in the sector and is likely to be a better indicator of the regional market. Though some trades, such as farm-to-farm trades, may be priced FOB Farm, typically the data provider also has access to a delivered price. If in practice we regularly find trades where only an FOB Farm price is available, we intend to develop a mechanism for adjusting the price to a delivered basis. Additional technical details we've considered are the establishment of regions and whether or not to collect detailed information on crop origin. 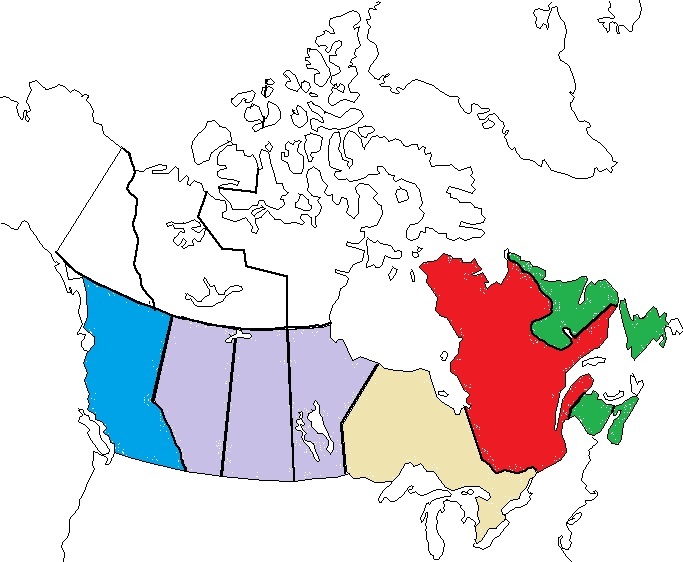 Mercaris's data collection regions for the U.S. and Canada (shown below) will be used to classify the delivered prices we collect. 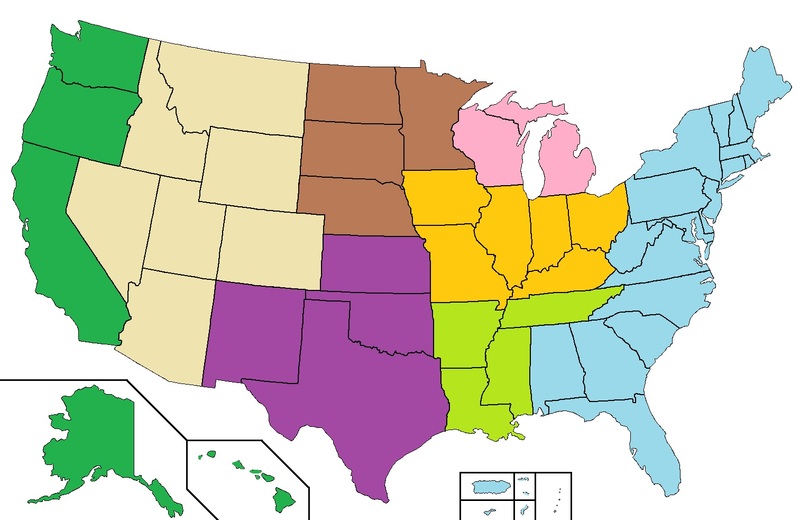 The regions are based on grouping states/provinces by crop season and transportation routes. For ease of use, and because Mercaris plans to add crops to its data collection survey, rather than subdivide individual states or provinces, we left them intact, with regional boundaries falling along state/provincial lines. As for crop origin, we will collect the physical address of where the crop originated (for the U.S. and Canada; all other origins will include country-of-origin only). We can then map supply or production volumes in the U.S. and match them with county-level acreage data from USDA. In closure, I'd like to bring to your attention the recent release of USDA Agricultural Projections to 2022. The report is a product of USDA's Interagency Agricultural Projections Committee and provides a credible long-run look at what might be expected for the agricultural sector during the next 10 years under some very specific assumptions. The U.S. dollar is projected to continue to depreciate through the projection period. The dollar depreciation is part of a global rebalancing of trade and financial markets in the aftermath of the global financial crisis and recession. The weaker dollar will remain a facilitating factor in projected gains in U.S. agricultural exports. Although trade competition will continue to be strong, the United States will remain competitive in global agricultural markets, with export gains contributing to long run increases in cash receipts for U.S. farmers. High levels of domestic corn-based ethanol production continue over the next decade, with about 35 percent of total corn use projected to go to ethanol production. However, ethanol production gains are smaller than have occurred in recent years. The projected slower expansion reflects declining overall gasoline consumption in the U.S. (which is mostly a 10-percent ethanol blend (E10) market), infrastructural and other constraints on growth in the E15 (15-percent ethanol blend) market, and the small size of the E85 (85-percent ethanol blend) market. Prices for many major crops are projected to decline in the near term as global production responds to recent high prices. Nonetheless, after these initial price declines, long-term growth in global demand for agricultural products, a depreciating dollar, and continued biofuel demand, particularly in the U.S., the EU, Brazil, and Argentina, hold prices for corn, oilseeds, and many other crops above pre-2007 levels. Increasing prices in the livestock sector initially reflect reduced total meat and poultry production. As feed costs fall from recent highs and meat demand strengthens, improved livestock-sector net returns provide economic incentives for expansion. Additionally, improved forage supplies encourage cattle herd expansion. Thus, after increasing through 2015, beef cattle prices decline for several years as production expands starting in 2016. Hog prices rise in the near term but then decline for several years as red meat production rises. Over the latter half of the projection period, livestock prices generally rise, reflecting a moderate pace of production expansion combined with increasing domestic use and export demand. After declining in 2012-15, nominal farm-level milk prices are projected to rise gradually over the rest of the projection period, with increases less than the overall rate of inflation largely due to efficiency gains in production. Thanks for reading and good luck with early planting! Again, please contact me if you are interested in testing our data collection software. Mercaris is looking for a Summer Intern! Check the Careers Page of our website for more information.